Falafelkid.com: ´Kingdom Hearts III´ exclusive to Wii? ´Kingdom Hearts III´ exclusive to Wii? - Kingdom hearts 3 Wii exclusive, developed and published by square-enix. - Tetsuya Nomura is the game director. - Direct sequel to KH3, but also will reveal interesting things about chains of memories. - Best looking Wii game, uses normal mapping far more than Konami's dewey's adventure, the animations are incredible and the art directon is a little less "kiddie"
There are no scans of the article and there are no other reports concerning the particular magazine issue. For the moment, the story is as credible as the original poster. Although he joined in November, he has started only two threads on N4G, the first one being about ´God of War´ for PlayStation3. His recent comments betray him as both a spammer and blatant anti-Sony fanboy, though. This greatly damages his credibility, for sure. Since October, Nintendo Power is published by Future US, who I am currently trying to contact. Rest assured that I will update the story within the next few hours. EDIT I was just able to reach the publisher´s New York office, where the advertising people are based. They did refer me back to the editorial staff in San Francisco - who are not yet in the office - but the colleague could not find any such story flicking through the March issue. It seems very likely that this story is bogus. I will update again once I have final confirmation from the editorial staff. EDIT The publisher´s editorial director just sent me a couple of mails clearly stating that the March issue makes no mention of ´Kingdom Hearts III´ whatsoever. The story is completely bogus, I am afraid. Hey falafel I remeber you were working on some exclusive story about an independent dev team or somethin..will you give us the lowdown on that one soon? Considering than Square-Enix didn't go on, on producing KH3 right away and chose to make two "in between" or "chain" games (for PSP and DS) might be a clue that they could be considering making the 3rd game on another Console than PS3. 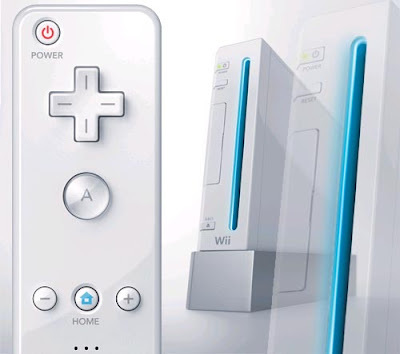 For the time being though (and moreover an exclusivity for Wii) I am afraid that might be too good to be true. oh my god mr falafel calling people overseas...isn't that expansive? I just saw the cover of the new Nintendo Power, and the RPG is.....dun dun dun....Tales of Symphonia for Wii a game we already knew about. I love your articles because you do your research. Keep up the good work! Would it be possible for you to make an update on the Blu-ray/HD-DVD format war article with your thoughts, now that last month Warner Bros. switched alliance to Blu-Ray and that Microsoft has reduced the price of the HD-DVD player and that its giving free movies up? Asked about the Wii game's state of completion, Eggebrecht responded: "We're pretty much at a state where we're almost done with the engine. At the same time, we've also been working on content quite a bit because we had enough running very quickly on the platform that we were able to. But the biggest milestone or mark right now is that we're almost done with the engine and it does everything that the PS3 did and then some, quite frankly. So we're pretty happy with that. Taking intoRunescape Money consideration in comparison with Square-Enix decided not to continue, in producing KH3 instantly in addition to made a decision to make a couple "in between" or even "chain" online games (intended for Sony psp in addition to Nintendo ds lite) can be quite a concept they might cheap Diablo 3 goldbe thinking of generating the 3rd video game in one more System when compared with PS3. android phone cheap them in a jar with a top on it. Fleas jump. Weedends is great day! I really love it! Because in this day, not only can I get Billige Handys ohne Vertrag up late, but also I can be relaxed! !~None day can be better than weedends! There is a important reason that we can't go to school or go to job! So happy day! Not to mention major guts. cheap android phoneIt takes a whole lot of courage to wager high on a bluff and to accept a behemoth tackle to complete a big play.